I worked for Val Feigenbaum's consulting company (General Systems Company) for most of the eighties. He and his brother Don were both inspiring and father-like in how they dealt with me. All of us consultants were welcome to go to lunch with him every day that he was in town . . . and, I never missed an opportunity . . . nearly 1,000 lunches with him. Try to imagine listening to a great guru that many times. And, most times the subject was about something important in life and not work. The knowledge I gained far surpasses that from anyone I have worked with including Dr. Deming. The knowledge in his classic "Total Quality Control" is only the tip of the iceberg compared to the technology he taught us to use to help improve several of the world's top businesses. But, he taught us more than quality and management technology, he taught us how to be consultants on the big stage. And, I also learned how to operate a consulting business which has benefitted me for the past 24 years. If I were asked to describe him professionally in two words, it would be "systems engineer'. For example, my job title was not 'consultant', it was 'systems engineer'. The greatest compliment he ever paid me after I made a monthly project report to him was: "Paul that was systems engineering of systems engineering." I will forever treasure those words because for me that was the highest compliment he could give to anyone. Val was fiercely intelligent and a great story teller. He had a great love for food and would always have me give him a report on the restaurants I ate at especially in Europe and South America. He was a private person and not one to go out to the movies . . . until the movie: "who's Killing the Great Chefs of Europe" played . . .he did not go for the mystery aspect of the movie . . . rather, he went to see the great meals of the great chefs in the film. I worked almost exclusively overseas. Most contracts were for 3 years with 11 to 12 2-week onsite visits per year to clients. He allowed us to travel anywhere we wanted on the middle weekend and to stay in the best hotels and eat at the best restaurants. I hope I'm not offending anyone but there is nobody of his stature left anymore. There are so many stories to tell including his views of the other gurus of the day . . . I sense that I am writing more than anyone will read . . . but, for me, an era has ended with his passing and for the first time professionally, I feel orphaned. 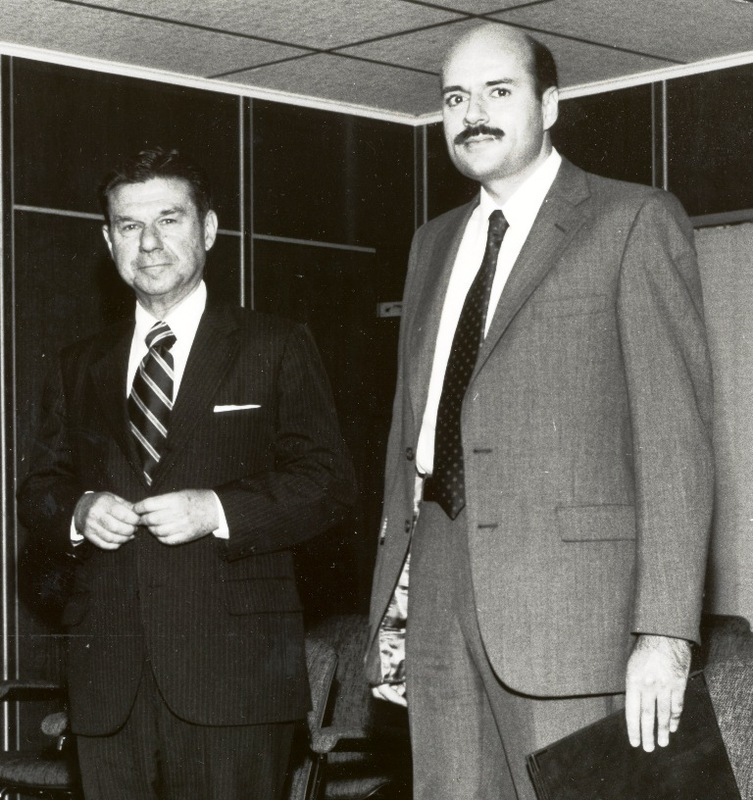 Below is a cherished photo with my boss Dr. Armand (Val) Feigenbaum ("Total Quality" Guru). We are shown at Pirelli Brasil where I was project leader of Val's Total Quality Management System consulting project from February 1982 through March 1986. I learned more during my five years working for Armand (Val) Feigenbaum than any other period in my life. He foresaw the future of total integrated systems of management and operational processes and put them into practice far before and beyond the accomplishments of his peer Quality Gurus. Having worked side-by-side from day one with Dr. Edwards Deming in launching and implementing his program at Ford and its 10,000+ suppliers and having interfaced extensively with Dr. Joseph (Joe) Juran and somewhat with Phillip Crosby, I am in a good position to make this judgment. Dr. A. V. Feigenbaum's brilliance in transforming organizations to levels of unprecedented excellence using totally integrated systems of best process models is a perfect fit for any organization especially those using the EFQM or Baldrige Criteria. 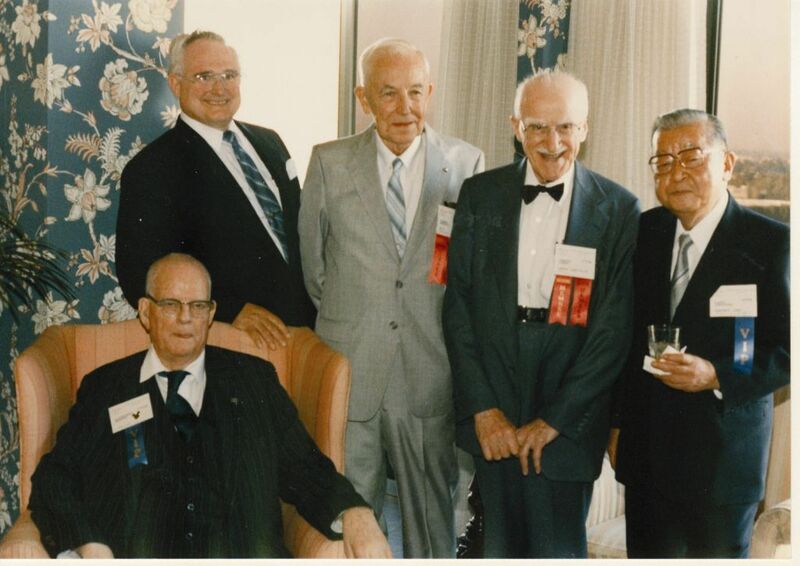 In addition to Dr. Feigenbaum, I am also proud of my association with Dr. Deming, Dr. Juran and Dr H James Harrington (standing behind Deming and in 2009 photo below) shown in this classic Quality Guru photo given to me by Juran family member Howland Blackiston (Juran Institute Co-Founder) in appreciation for my facilitating access to China's quality leader. I am especially indebted to Dr. James Harrington (below) for his strong support since we first met in Tehran (Click to see photo of us after our historic meeting with the Leader and Cleric of Iran's High Committee of the Iran Supreme Council). "Fix the Criteria and they will come"
In contrast, the Singapore and several other major national award programs based on the Baldrige Criteria have successful in sustaining engagement of their business applicants. NIST is seeking your suggestions for improving the 2013 Baldrige Criteria, award process, examiner training, communications, or other Baldrige Program activities, please send them to iday@nist.gov.